What is ScarMD® Silicone Scar Gel ? 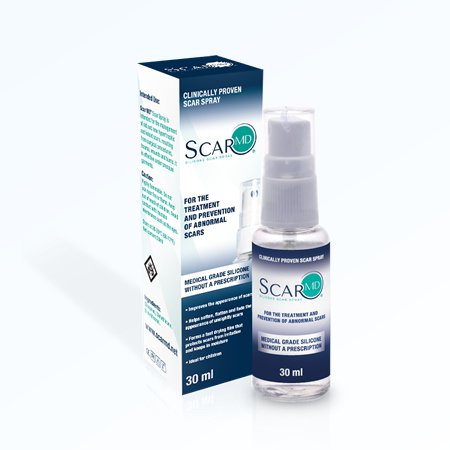 ScarMD® Scar Gel is a lightweight,self-drying silicone gel for the treatment of scars.ScarMD® Gel® contains Silicone which has been shown to ﬂatten, soften and smooth scars, relieve the itching and discomfort of scars, as well as reduce the discoloration associated with scars. What is ScarMD® Silicone Scar Gel made of ? How does ScarMD® Silicone Scar Gel work ? When using ScarMD® Silicone Scar Gel, the recommended minimum treatment time is 60-90 days. Larger and older scars may take longer and continued use is recommended if improvement is still seen after the initial 90 days. How should ScarMD® Scar Gel be applied? 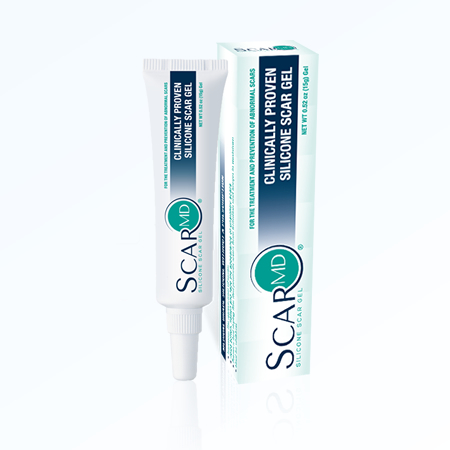 If ScarMD® Silicone Scar Gel has not dried within 4–5 minutes, you have probably used too much. Gently remove the excess and allow the drying process to continue. On what types of scars is ScarMD® Silicone Scar Gel effective ? 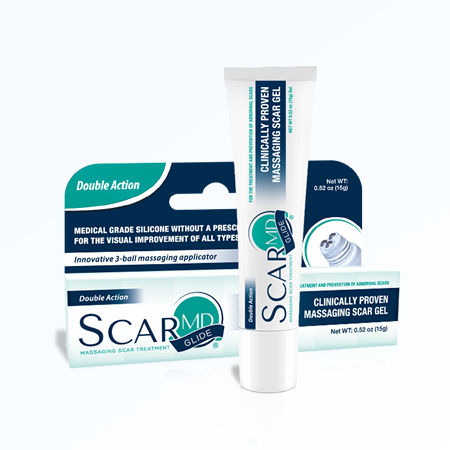 ScarMD® Silicone Scar Gel is intended for the management of old and new hypertrophic and keloid scars resulting from general surgical procedures, trauma, wounds and burns. 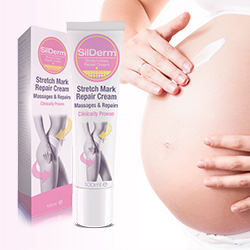 It may help to soften and ﬂatten raised scars and reduce redness or discoloration associated with them. It may also reduce any itching or irritation you may still be experiencing. 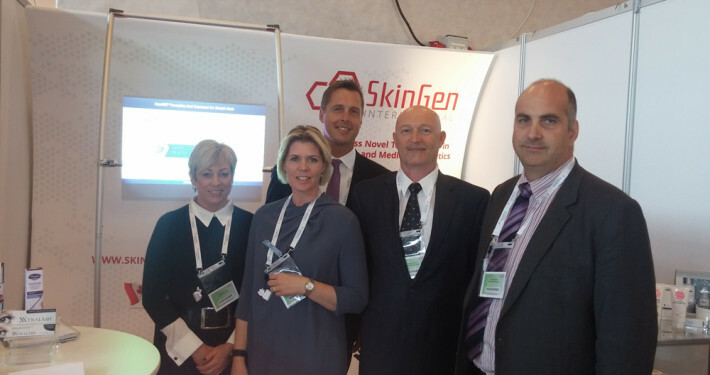 Does ScarMD® Scar Silicone Gel work on keloid and hypertrophic scars ? In several medical studies silicone, the key ingredient of ScarMD® Scar Gel has been proven to ﬂatten, soften, smooth and dramatically improve the discoloration noted with these types of aggressive scars. Does ScarMD® Silicone Scar Gel work on pitted acne scars ? No. Topical scar treatments are not effective on pitted acne scars. If you have pitted acne scars, please see a dermatologist. She/he can discuss with you some of the latest treatments for managing these types of scars, including laser therapy, dermabrasion and ﬁllers. What are the advantages of using ScarMD® Scar Gel instead of silicone sheets? ScarMD® Silicone Scar Gel has all the beneﬁts of silicone sheets without the inconvenience of tape allergies, difﬁculty of use and the potential for bacteria growth between the sheet and the skin are all problems inherent with sheeting. Is ScarMD® Silicone Scar Gel suitable to use on children ? Does ScarMD® Silicone Scar Gel have any odor associated with it? Are there any restrictions on the use of ScarMD® Scar Gel? ScarMD® Silicone Scar Gel is for external use only. Direct contact with eyes, mucous membranes, third degree burns and open wounds should be avoided. ScarMD® Silicone Scar Gel should not be used on dermatological conditions that disrupt the integrity of the skin. How do I clean the affected area before re-applying ScarMD® Scar Silicone Gel ? The ScarMD® Scar Gel layer will dissipate as your skin cells naturally exfoliate, approximately 24 hours. If necessary, gentle washing with soap and water should remove any remainder. It is not necessary to remove the entire ScarMD® Silicone Scar Gel layer prior to re-application. Will ScarMD® Silicone Scar Gel help heal older scars, or just new scars ? 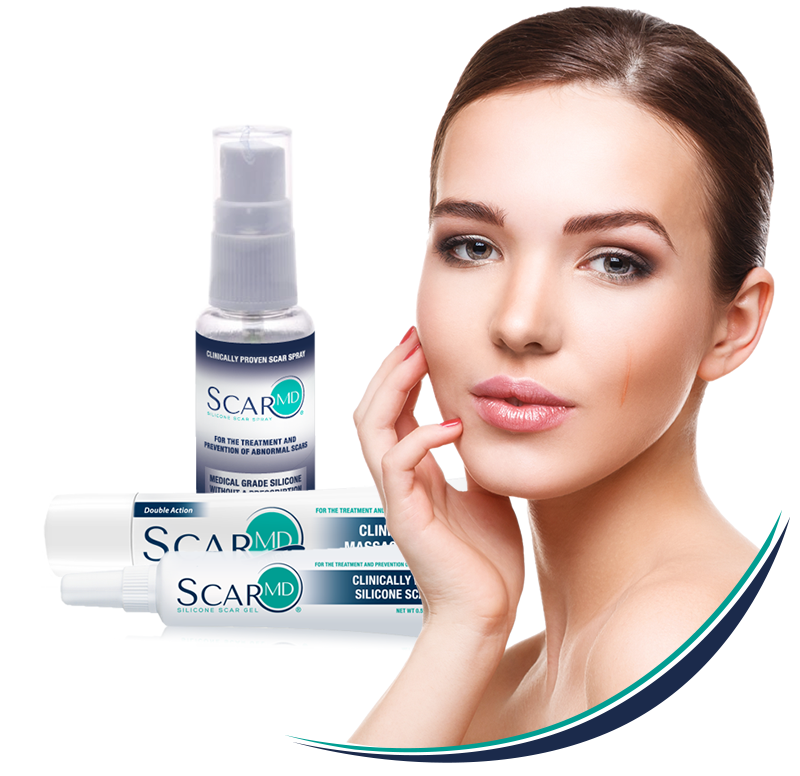 ScarMD® Silicone Scar Gel may help improve the appearance of older scars as well as newer scars. Is your scar: Red? Raised? Hardened? Itchy? Painful? ScarMD® Scar Gel can help. How long should I use ScarMD® Silicone Scar Gel to treat my scar ? 90 days is the recommended initial treatment period; however, depending upon the scar’s condition and age, treatment could be a bit shorter or longer. 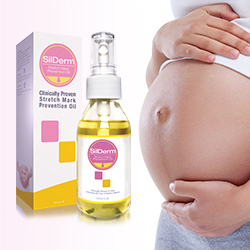 Depending on the size of the scar, each package is designed to offer a sufﬁcient quantity of gel for 90 days of treatment, applied twice a day. The timing of results varies greatly from person to person. Clinical data shows that results can be seen in as little as 2 weeks using ScarMD™ Silicone Scar Gel twice daily, however on the majority of scars more noticeable improvement took about 3 months. Reduction of redness and itching are usually the ﬁrst results noted. Should I continue to apply ScarMD® Silicone Scar Gel after 90 days? If you are still progressing at 90days, continue to apply ScarMD® Silicone Scar Gel until you are no longer seeing improvement. When can I start to apply ScarMD® Silicone Scar Gel after surgery? You can start to apply ScarMD® Silicone Scar Gel after the stitches have been removed and the wound is closed. Silicone sheets have a number of disadvantages over silicone gels: They can displace over time and while sleeping, bacteria can be trapped under them, they can cause excess sweating and can mascerate the skin beneath the sheet. Silicone gels bind to your skin and remove these disadvantages, and are shown to have equal clinical results.